For Day Two of The Digit-al Dozen Is Inspired By Each Other I thought I would recreate a mani by another blogger that I have been following for quite some time (I don't even know how long at this point - I can't remember). 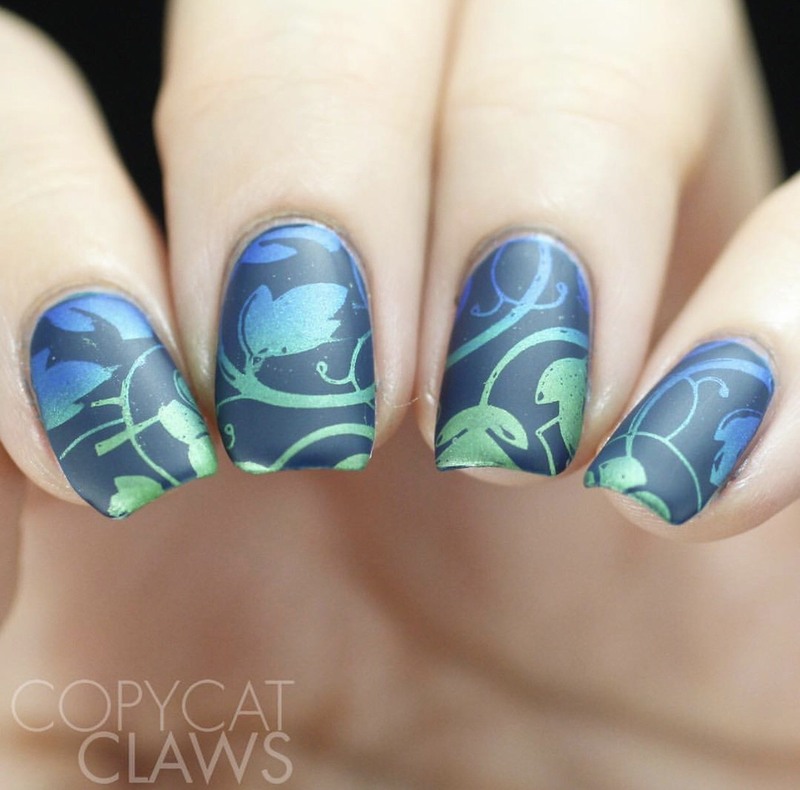 Today I am recreating this stunning mani by Serene (Copycat Claws). 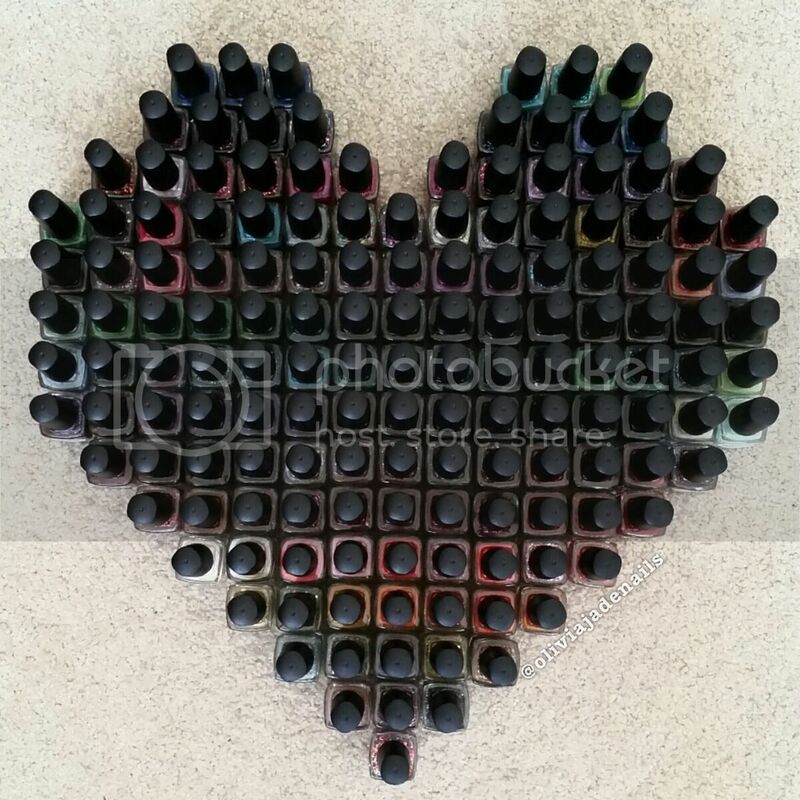 This is Serene's original mani which I absolutely love! I don't actually own the polishes that Serene used so I have had to improvise with what I had. Luckily for me I do have the stamping plate! 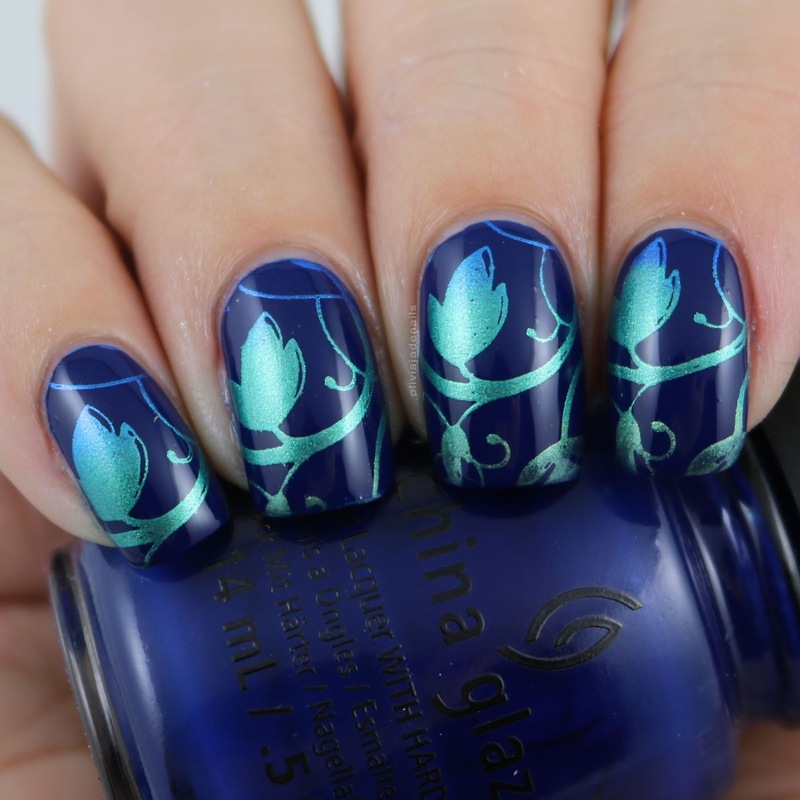 For this mani I used China Glaze One Track Mind for my base and stamped using Hit The Bottle's Appletini, I Wish I Was A Mermaid and Blue-itiful. 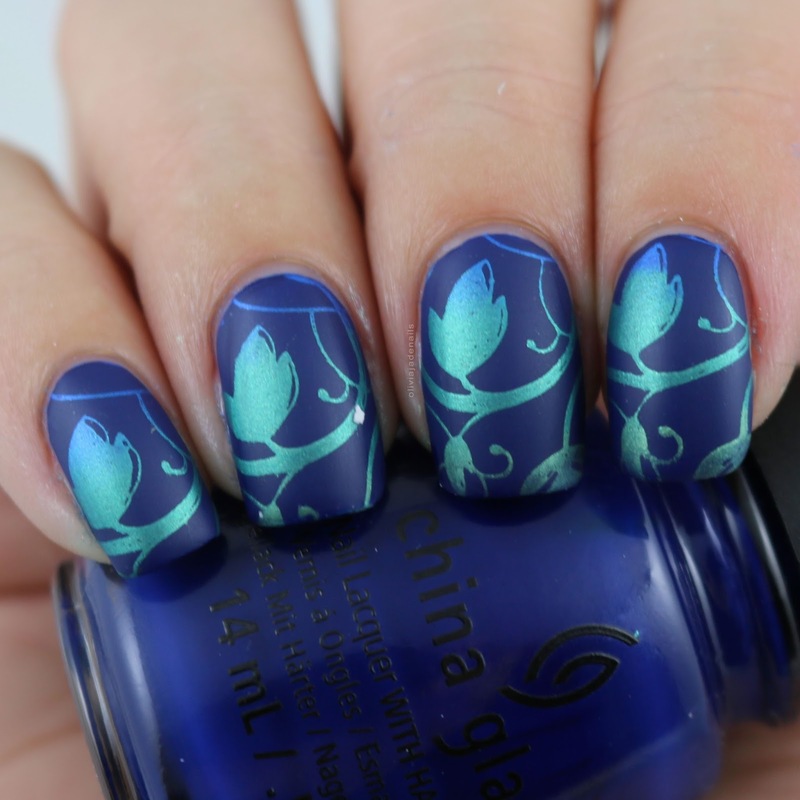 Stamping image is from Uberchic 24-03. I love both the matte and shiny versions so I had to include both versions. I'm definitely going to have to use this colour combination again! Thanks Serene for the inspiration!